The spotlight shined brightly on Trejah as a young, talented performer. Before even becoming a teenager, she had taken the stage numerous times in ballet and dance, even joining the famed Alvin Ailey American Dance Theater at Lincoln Center in New York City. But the curtain almost came down on dance for Trejah after her mom made a startling discovery in her school notebook. In 2015, Trejah - who was 11-years old at the time - underwent successful surgery to remove a benign brain tumor. She was later diagnosed by doctors with a rare childhood disease called Juvenile Pilocytic Astrocytoma and a seizure disorder. Less than three years later, the mass returned, but this time, it was cancerous. Trejah required a second brain surgery and resection of the tumor. During the procedure, Trejah suffered a stroke that left her partially paralyzed and suffering from cognitive impairments, leaving the dancer and her family devastated. She was transferred to a Manhattan rehabilitation center to regain function and was discharged home weeks later. 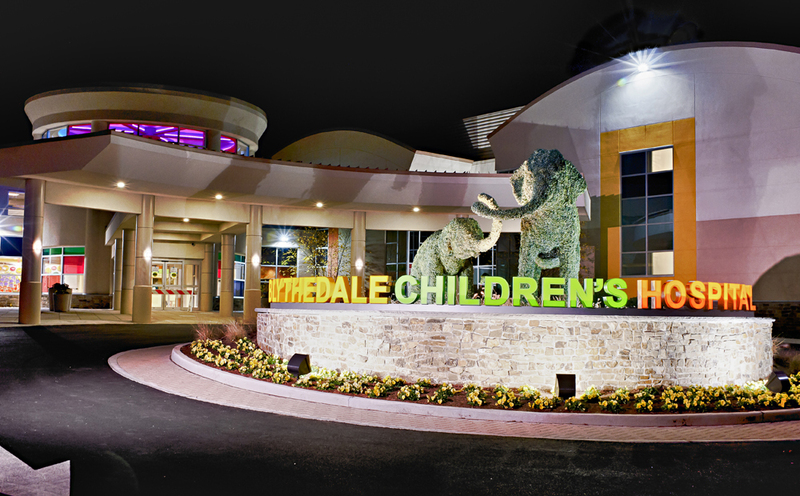 Trejah’s doctors recommended Blythedale Children’s Hospital to resume intensive therapeutic rehabilitation. In September 2018, the teen was admitted to Blythedale’s Day Hospital, a specialty outpatient program for kids who can live at home, but still require medical and/or rehabilitative care. This came just in time as Trejah celebrated her fourteenth birthday and began classes at Mt. Pleasant Blythedale School, the state’s only public school district at a hospital site. Immediately, Trejah was immersed in five-day-a-week occupational and physical therapies that worked to improve her movement, balance, strength, endurance, cognition and fine motor skills, while capitalizing on the teen’s love of dance. Strength and endurance were vital as Trejah underwent five weeks of radiation treatment to target and destroy remaining pieces of her second brain tumor. Despite the arduous daily routine, consisting of waking up early to take a bus from the Bronx to Blythedale, hours of intensive therapies to improve mind and body, a sometimes hours-long trip to New Jersey for radiation treatment, then back home (and don’t forget homework), Trejah remained optimistic and hopeful. Trejah’s mother agreed and noticed the way her daughter’s therapists always pushed her toward her goals of walking and, possibly one day, returning to dance. As Trejah relearned how to walk and write on her own, Blythedale’s speech therapists worked to help improve her cognition and memory in order to fully engage in school and develop self-advocacy skills. At the same time, she was referred to the Hospital’s Child Life program by her interdisciplinary team who recognized Trejah’s need for an outlet to express herself while coping with her illness and hospitalization. “We use a lot of creative arts modalities and therapeutic play strategies for patients to process their healthcare journey,” said Kelsey Mayer, M.S., C.C.L.S., Director of Therapeutic and Developmental Support Services at Blythedale Children’s Hospital. The Bronx teen spent many hours a week in the Child Life activity room, talking about her personal story with highly trained department specialists, while also creating inspirational artwork and positive affirmations, with the help of her favorite movie and characters from Trolls, to remain optimistic throughout her medical journey. “It helps take all the bad things that I’m thinking about and turns it into good things,” said Trejah. This strong sense of self and mindfulness has also rubbed off on her Child Life specialist. “She really inspires me with her vibe and her spirit,” added Mayer. As for what’s next for Trejah, she is keeping her options open and considering a possible medical career and/or return to dance. The sky’s the limit for this Blythedale treasure.